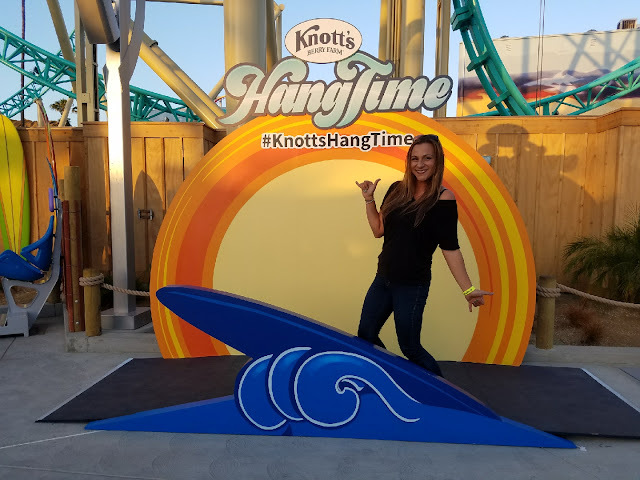 Surfs Up & Happy Summer from Knott's Berry Farm... 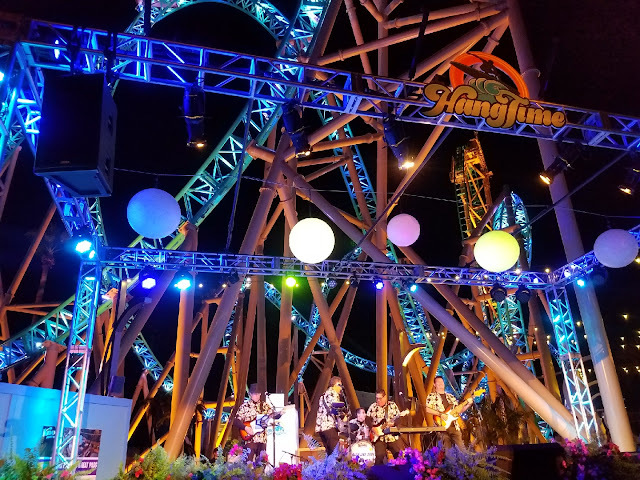 Hang Time is Now Open! 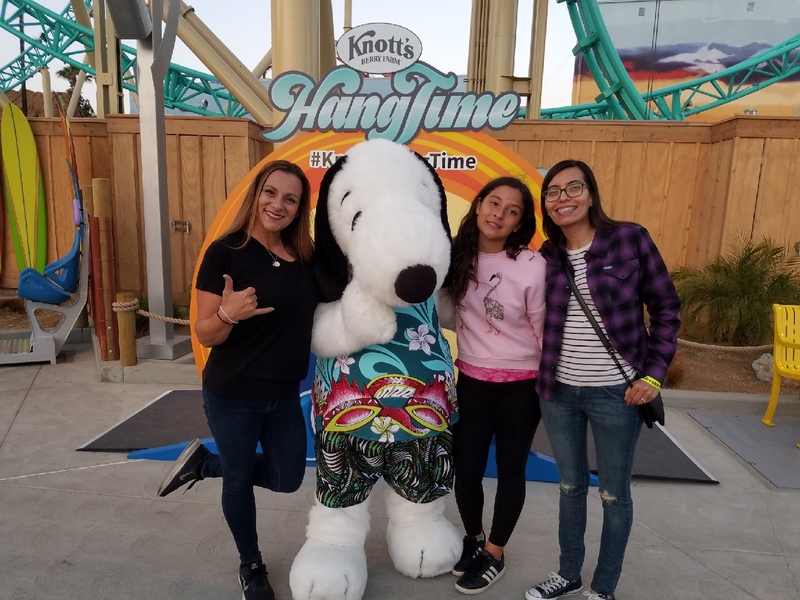 Hang Time at Knott's Berry Farm... have you heard of it?! It's California's only vertical drop roller coaster and... it's tubulartastic! 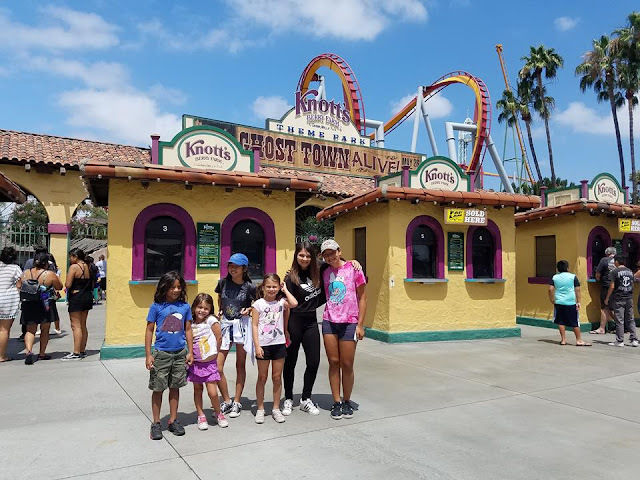 Thank you to Knott's Berry Farm for having us out to kick off summer with Boardwalk themed foods, drinks, sweets and of course rides on Hang Time! We loved it! I can not wait to get my husband and son on Hang Time. 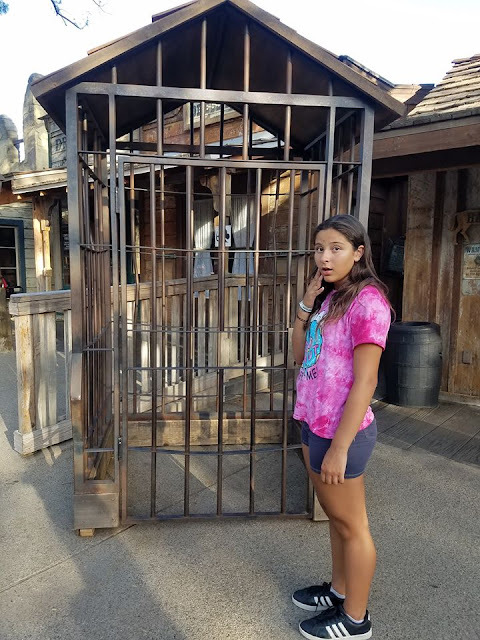 My daughter is a thrill seeker like her mama and we just had to ride twice. 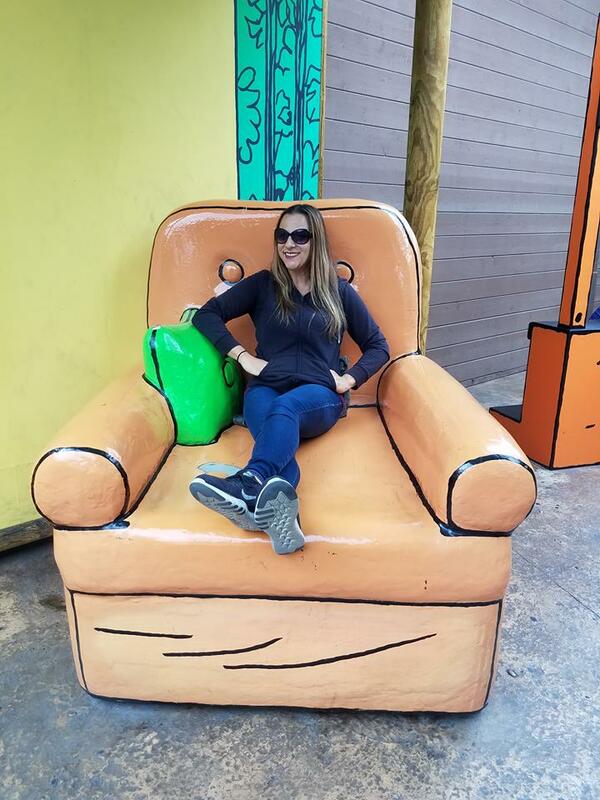 The experience of the ride seems to be a bit different from each spot you sit. If you are on the outside of the rows you can see the theme park below you and if you need a bit less then sit in the middle seats. Also the front you see it all and seems to be a bit more manageable on the tummy than in the back where we felt the momentum of velocity and gravity taking us down the slope! Either and anywhere we loved this coaster to the max dudes! First of all day or night this coaster masterpiece is a beautiful sight! Check out my video here of the spectacular evening view! * Holding Break at 60° for at least 6 seconds! The mid air suspensions, being 15 stories up, the speed and the twisty turns are all amazing but what I thought was really cool... the smooth flow to the ride all the way through! 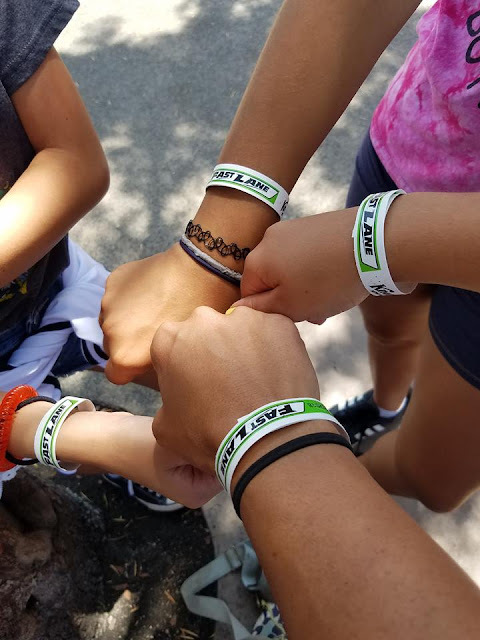 We can not wait to ride with the whole family. Side note... Fast Lane passes are a great way to get on your favorites with out a wait! That isn't where the excitement ends, this summer at Knott's Berry Farm, Ghost Town Alive is back!! 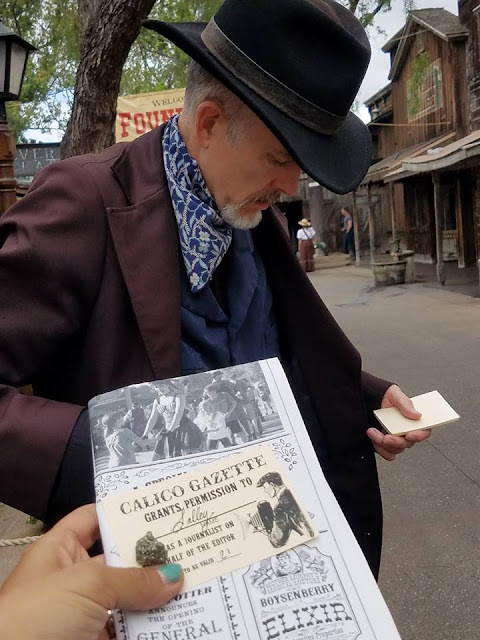 Calico is so fun for him and us all to see the interactive entertainment! Hot tip.. make a day of it. 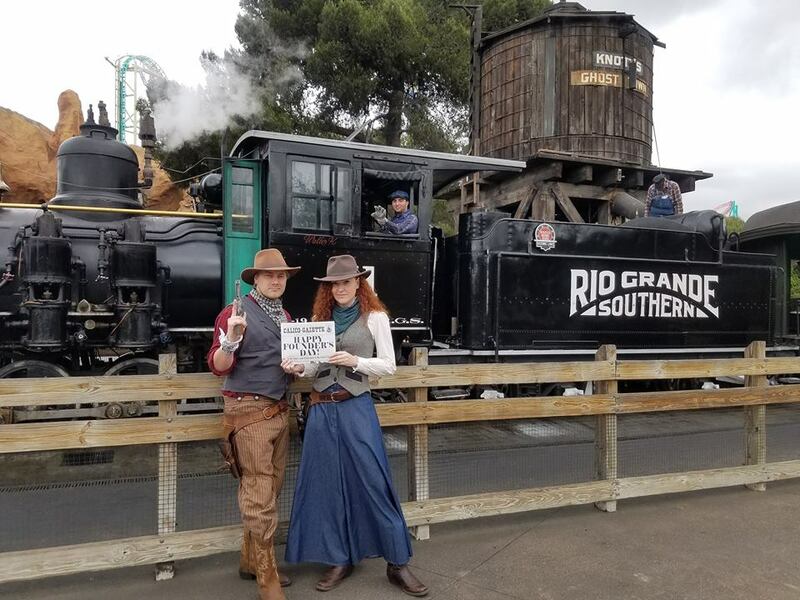 Start at Ghost Town Alive and catch the opening act all the way to the train ride into town with a surprise guest and of course the HoDown! 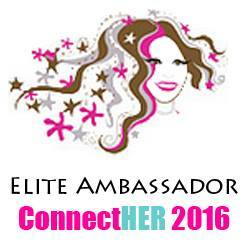 The best part is you can get a pass and enjoy multi days of fun all year long and not feel rushed. Payments are cheap! More info on annual passes here. I love going around and seeing what's going down with the Oulaws and the town's Lawyer.. yes he is a fun one to chat with! My favorite thing about Knott's Berry Farm Ghost Town Alive is that it's super Autism Friendly!! My son loves to chat, get up close, touch the props and be part of the story... It's a wonderful thing to see how interactive he too can be or not be depending on his mood too. One can be as involved or non interactive as they would like to be. 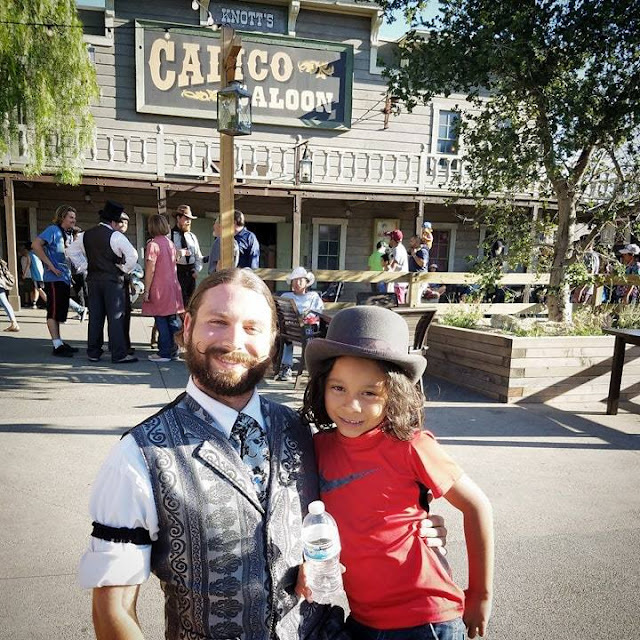 Some find it super fun to go with the energy of the good the bad and he well ugly side of things in the Wild West! Listen up and play your cards right so you too don't end up in the Jail House - Visitors welcome bt far and few between since everyone is out having fun around Ghost Town. Did you know that you can swing by the stables and help name a pony?! We did!! Buttercup and Ouzo are waiting to see you too at Knott's Ghost Town Alive. 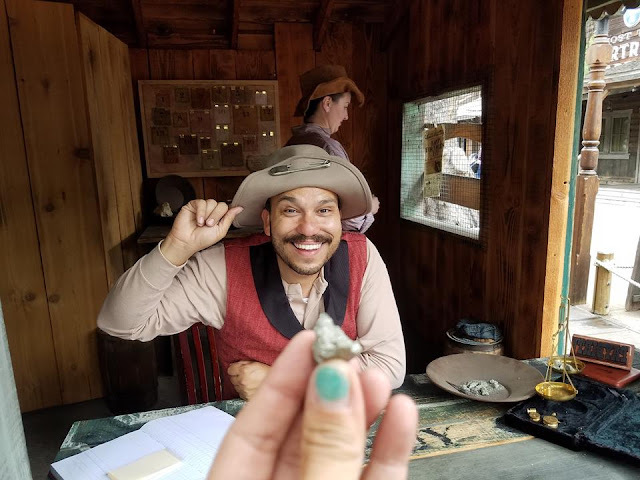 I loved being "bribed" with some Gold this year to be open to helping the Outlaws.. shhh.. Huge shout out to the actors that make that all possible!! This family appreciates it very much. 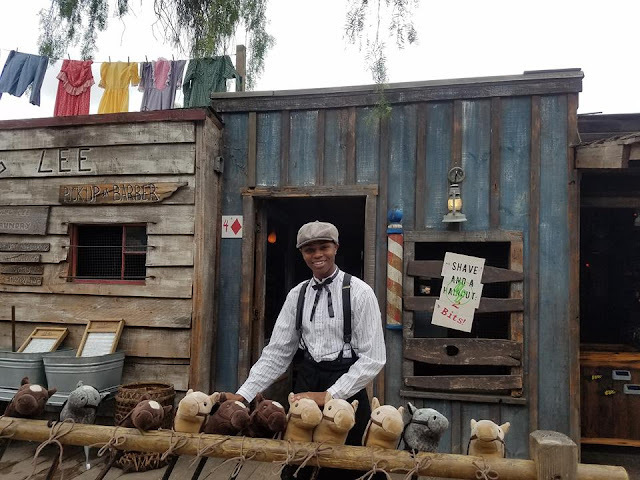 Catch Ghost Town Alive at Knott's Berry Farm now select dates through September 3rd! Okay we can not just talk theme park with out talking Knott's Berry Farm food. 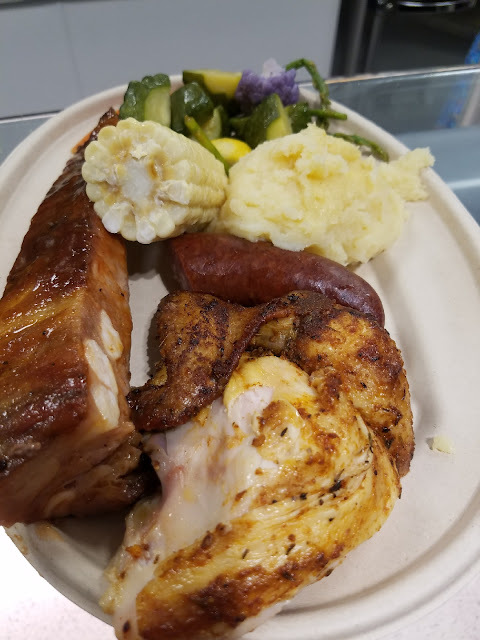 Mrs. Knott's famous chicken dinner is divine. Get a small plate or the whole meal to go even with a Boysenberry Pie! Yes please. It was my mamas favorite thing to do. At the Pier you can also experience some of the featured eats celebrating Hang Time. Don't forget since we're talking summer and things to do... Soak City is open now too. Upgrade that annual pass to include the water park and chill out a bit inbetween rides too! Soak City... on our to do list for sure... hot tip... 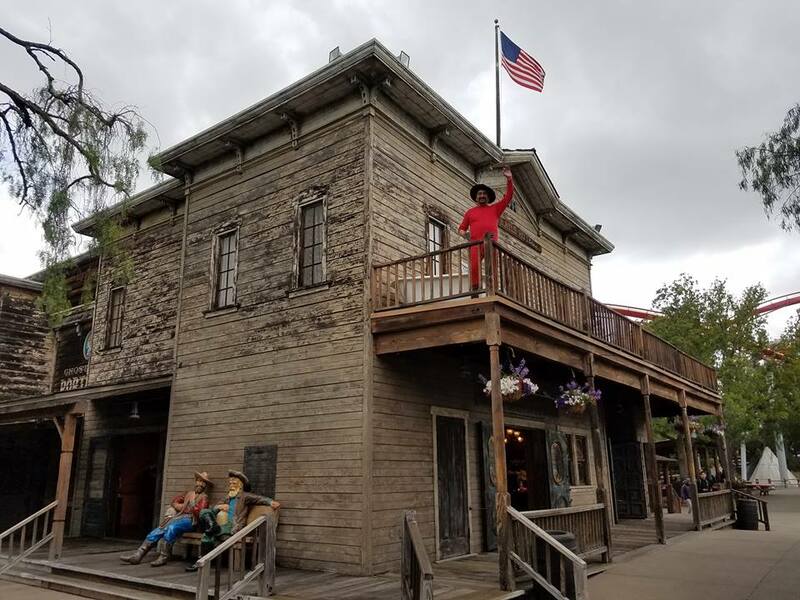 I feel like Tuesday and Wednesday are the best days to visit Knott's Berry Farm! What else so you have planned for summer fun?